Making your calligraphy practice fun! I hate letter drills. Writing pages of a single letter isn’t for me – I think focusing to that extent is counter productive, to be honest. So I challenge myself to practise modern calligraphy in a fun way. 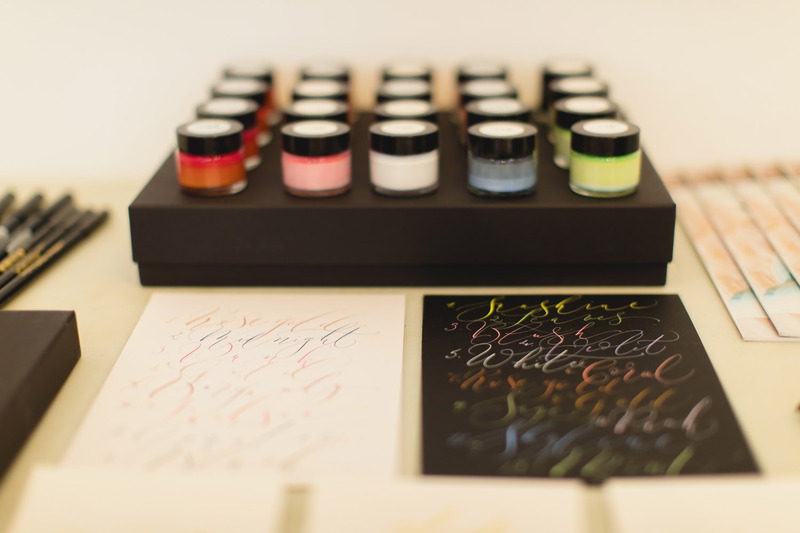 I use colour – it brightens my desk and changes the look of my letters. Writing in black ink on white paper is meh. Writing in a metallic pink on black card changes everything. Find a cheap frame, and frame your lyrics! 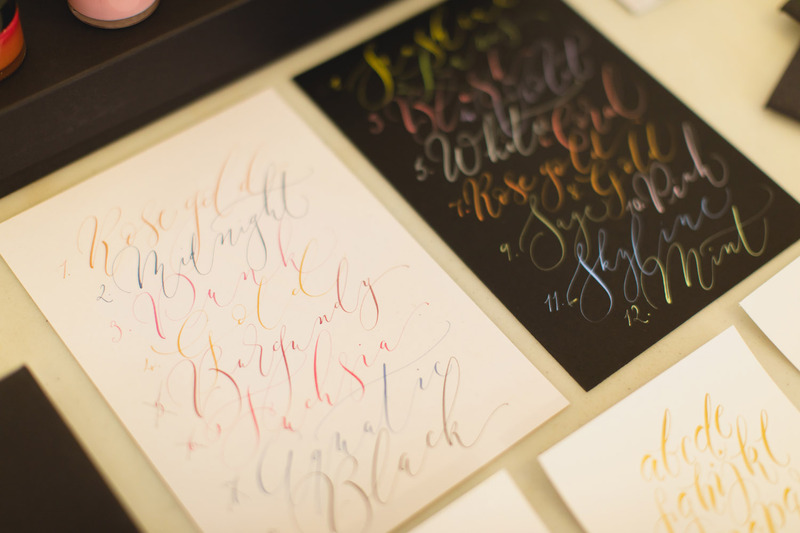 Give them to a friend, parent, sibling, lover… see how special a gift your lettering can be!